I am not a huge fan of television, but I am a fan of passing along some info when I think it may be helpful to you. I have stumbled across a show that I think is worth watching; it is called I Used to Be Fat and it’s on MTV. It is a reality series that follows overweight teens that are struggling to lose weight and change their lives the summer before they go to college. Unlike The Biggest Loser which takes contestants out of their environment, this show comes right into the home. It gets up close and personal on the reasons we eat. Yes, the transformations are incredible (50 – 100 lbs. lost in 90 days), but that’s not what is so fascinating about the show. What is so riveting is that it clearly demonstrates how food and bad habits get firmly entrenched in our lives; at any age. It reveals poor eating customs, the dynamic of families and relationships, lifestyle habits, negative mindsets, and the things we accept as “normal” when it comes to healthy living. As you know, oftentimes the reasons we eat are so multi-layered that it takes a lot of unraveling to get to the heart of the problem. There is the unrealistic element of working out with a trainer 6 hours a day, (this is the extreme nature of having to lose a lot of weight quickly). On the flipside, they do teach these kids how to eat, how to exercise, how to think like a winner and to not give up. There is a lot of inspiration here for everyone, especially those of you looking to lose those last 20 – 40 lbs. (Yes, it can happen and it can happen quickly). In the end, everyone has the same wants and desires; to feel good about themselves, to be liked, to feel comfortable in their own skin. 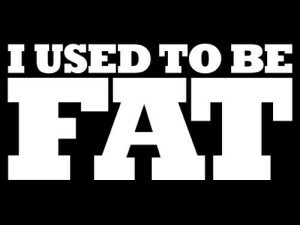 I Used To Be Fat is not afraid to get below the surface and dig deep, because that is where transformation begins. While this show gives these teens a new lease on life, it can help you too if you are willing to heed the messages it so generously dishes out. P.S. I watch it on my computer, so I don’t know what time it airs. If you are interested, check the following truly inspirational episodes: Josh, Episode 10; Jordan, Episode 5; Gabriella, Episode 1.